The townhouses at Al Mouj Muscat are a stylish blend between the traditional essence of Oman and the elegance of modern architecture. No matter which type of townhouse you prefer, one thing is certain; each one of them is carefully designed to provide a sense of spaciousness – with open-plan living areas giving way to private bedroom spaces and green gardens. 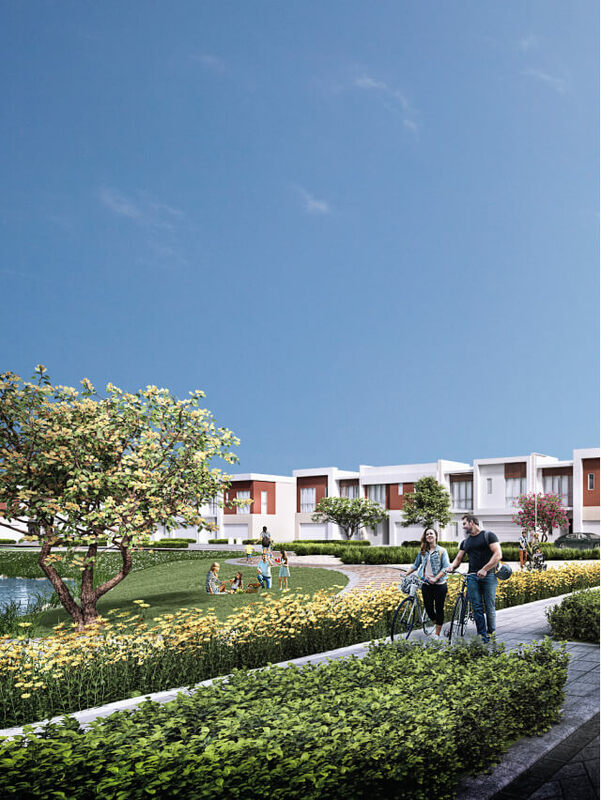 • All townhouses are 100% freehold, approved for purchase by foreign nationals, with eligibility for residence visas and access to easy financing*. • At ground floor level, the luxurious kitchens open onto airy, living, dining and family areas and glass doors open onto the gardens. • Villas feature fully equipped kitchens and bathrooms with contemporary European sanitary ware.